The region of Tibet is a paradise for those who prefer to travel off the proverbial beaten track. The Tibet Autonomous Region is unbeatable in terms of natural beauty, but there are also a multitude of cultural and historical tourist attractions to be discovered. 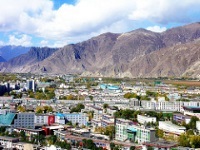 Lhasa, the capital city, is a good place to start, as it has been the global religious centre for Lamaist Buddhists since ancient times and offers an array of interesting things to see and do. 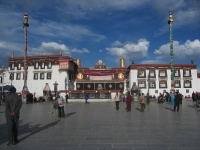 The Jokhang Temple in Lhasa is arguably Tibet's most sacred temple and is a popular destination for pilgrims. Lhasa is often filled with pilgrims, adding to the atmosphere of devotion, peace, and majesty. Just above the city looms the famous Polata Palace, which was the official residence of the Dalai Lama for centuries and is celebrated as the greatest achievement of Tibetan architecture. Many tours of Tibet include a visit to Shigatse, a city en route to Mount Everest, not far from Lhasa. On the way, travellers can stop off at the Palkhor Monastery and Tashi Lhunpo Monastery, the seat of the Panchen Lama. 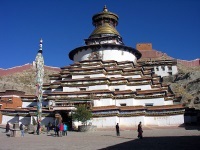 The Sakya Monastery in Shigatse is particularly popular with visitors. Travellers interested in ancient civilizations and archaeology can venture further afield to Guge in Zana County, where they'll find the truly enthralling remains of an ancient kingdom. Guge is more difficult to access than some of the other sites, but it's worth the extra effort for those who prefer attractions that are off the main tourist route. Of course, many travel to Tibet for the magnificent landscapes and mountains and, in this regard, the region will not disappoint. 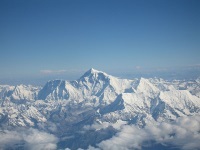 Apart from the notorious Mount Everest, the world's highest peak, there are innumerable scenic areas worth exploring. Stunning natural areas include Ranwu Lake and Valley, in Basu County, and Basongcuo Lake Tourist Area, in Gongbo'gyamda County. When it comes to untamed wilderness, travellers to Tibet are spoiled for choice. We are looking for contributors for our Tibet travel guide. If you are a local, a regular traveller to Tibet or a travel professional with time to contribute and answer occasional forum questions, please contact us.